Q: We work in a single physician office based infusion clinic and we infuse drugs for rheumatoid arthritis by gravity, not by pump, because pumps are expensive. Me and the other nurse think dial-a flow tubing will be useful especially on a busy infusion day. What do you think? 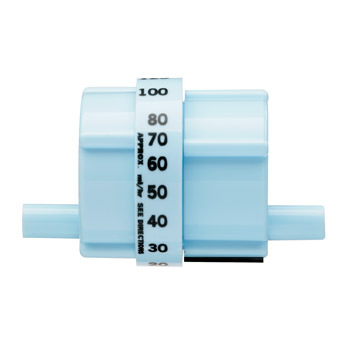 A: Dial-a-flo devices are designed to regulate the flow of fluid instead of using the roller clamp on the IV tubing. The name “Dial-a-flo” is a trademark owned by Hospira. Although many nurses call these devices by that name, these are also known as IV manual flow regulators. IV manual flow regulators are either part of the IV tubing or added on. When using this device, you can set or dial the desired number to match the ml/hr (not drops/min) infusion rate. Since these are regulated manually, flow regulators are obviously not “infusion pumps”. It does not function like electronic infusion pumps do and should not be confused with one. Accuracy of predetermined settings on the regulators vs. actual delivered rate. Reliance that the device will deliver the set rate without confirmation. Prevailing thoughts that manual flow regulators function like an infusion pump eliminating the need for counting drops. Misconception that variables that affect “gravity” drips doesn’t affect rate delivered by manual flow regulators. If used, these devices should be monitored during the administration of infusion therapy to ensure accurate delivery of the prescribed infusion rate. You still need to count the drops to match the set rate on the dial.These devices should be considered an enhancement to patient care and doesn’t replace the nurse’s responsibility to monitor the infusion of the prescribed therapy.